With ‘Everything, Everything’ hitting UK cinemas on 18th August 2017, we are excited to bring you this exclusive interview with Nicola Yoon, the author of the bestselling book upon which the movie is based on. 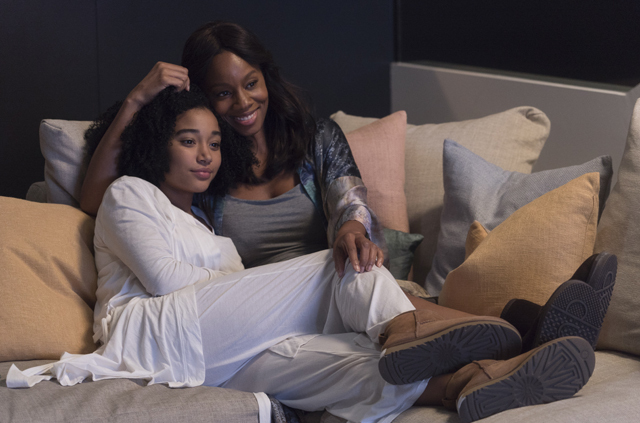 ‘Everything, Everything’ is a romantic drama directed by Stella Meghie and stars Amandla Stenberg (The Hunger Games) as Maddy and Nick Robinson (Jurassic World) as Olly. What was your inspiration for Everything, Everything? I started writing Everything, Everything when my daughter was just four months old. Like any new mom, I worried about everything. I worried about her eating dirt, getting a cold, bumping her head. If I could worry about it, I did! It got me thinking: what if there was a girl who needed constant protection—not just as a little baby, but throughout her whole life? How would a girl like that see the world? What would that kind of illness do to the relationship between the mother and daughter? How would their relationship change as the daughter got older and started to form other relationships? When did you become aware that your book was touching so many readers, and what specifically were you hearing from them? In the months before the book was officially released, advance copies were given out to readers and the feedback was almost immediate. Many of them just loved the love story between Maddy and Olly. I also got letters from people who liked the strong female relationships, especially between Maddy and Carla. I also heard from a lot of mixed race and black girls, who were excited to read a book in which the main character looked like them. This is the first motion picture adapted from your work. What were your expectations and hopes for the film going in, and how did they change once production was underway? I hoped that the film would be able to capture the quirkiness of the book. There are so many non-traditional elements in the book—instant messaging, texting, book reviews, illustrations—and I was eager to see that replicated in the movie. I don’t want to spoil anything, but let’s just say that the film does a great job of maintaining the spirit of the book. What kind of conversations did you have with director Stella Meghie when she came aboard, and what does Stella bring to the project? Stella and I hit it off right away. We met for a coffee date that was only supposed to be a half-hour, but ended up being three hours long! She’s really quite brilliant and had such a passionate and well-defined vision for the movie. 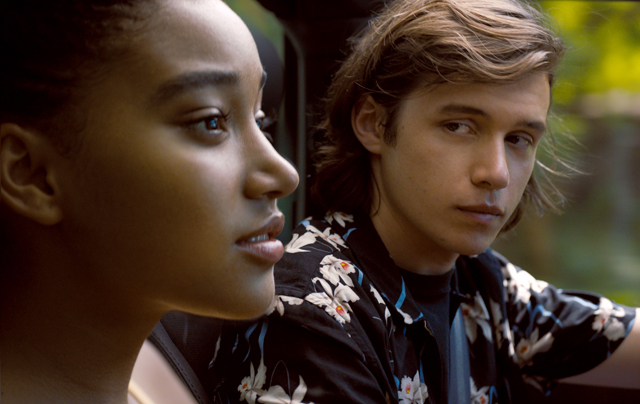 What was it like for you when you met the actors—Amandla Stenberg and Nick Robinson—who in the film embody your characters, Maddy and Olly? It was such a pleasure and honour to meet them. They’re both excellent actors and have fantastic chemistry between them. The first time I met them I also fan-girled pretty hard and asked them to sign my copy of Everything, Everything, which they did. It’s one of my prized possessions. What were some of the highlights of your visits to the shooting locations in Vancouver and Mexico? My first visit to set was in Vancouver. 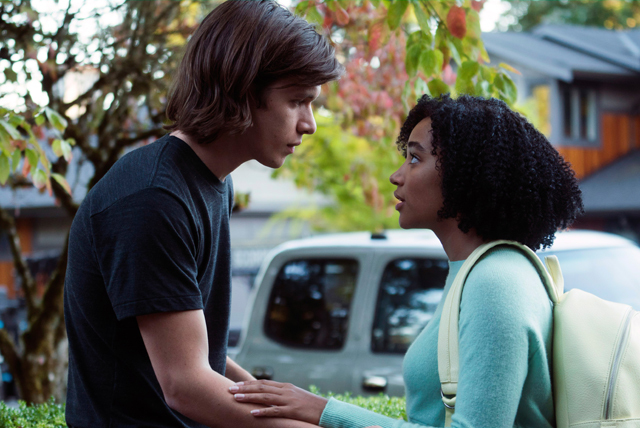 The first time I saw Nick Robinson and Amandla Stenberg act out a scene, I cried a lot. My little girl was with me and didn’t understand why I was crying until my husband explained that they were tears of joy. On the Mexico set, my husband, daughter and I were able to film a cameo and it was an incredible experience. In the film, you’ll be able to see us swinging our daughter between us in the waves. What do you hope audiences take away from seeing Everything, Everything in cinemas? I hope they take away the sense that love (in all its forms) is worth everything. Next articleMarvel’s The Defenders – Let the countdown begin!